Q: Please describe what the Optomap is used for and give a basic sense of how it works. What components, or how much, of the retina does this look at and give imaging for? A: Optomap is a digital scanning system designed to provide an image of 80% of the retina. This is a huge improvement over traditional retinal camera systems which can only image the central 20% of the retina. This allows us to check the retina for any health changes that might need further investigation. 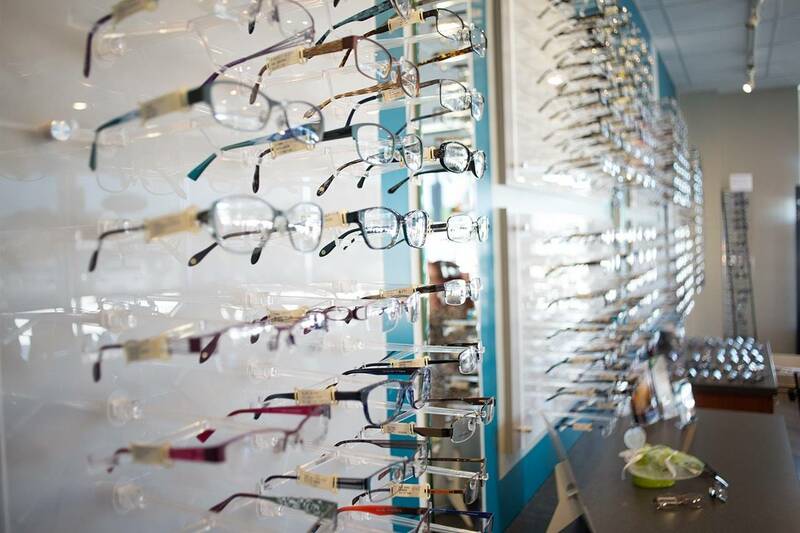 Q: What types of eye diseases and disorders can be discovered? A: Simply put, we are seeing things with the optomap that we were unable to see without it. 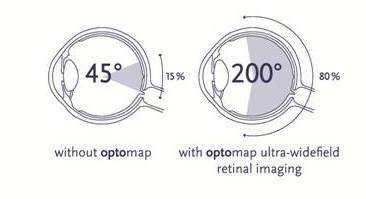 in addition, the optomap allows to view the peripheral retina without the use of dilating drops in most cases. A: Pretty quick and simple. the technicians guide you into the proper position and there is a brief light while you look at a fixation target. A: It allows us to view the retina to a much greater extent without having to use dilating drops. the procedure is much faster for the patient with much better information for the doctors. A: We do optomap on everybody – even young children. Most things that we find do not have any symptoms so the patients usually had no idea that the problem existed until we find it. A: Any changes in vision, floaters, flashing lights. However, since most eye diseases do not result in vision loss until end stage, we do not want people to wait until they notice vision changes before getting checked out. Q: In your own personal experience using the Optomap, what types of eye disease were you able to detect and treat that would have otherwise gone undetected? A: Mostly peripheral retinal disorders. asymptomatic retinal holes and tears, retinal hemorrhages, and retinal anomolies.